Evidence use is now part of the rhetoric of educational research, policy and practice. Grounded in the contention that using evidence can help educationalists develop better solutions to the key issues facing teaching and learning today, Chris Brown seeks to develop a complex, rich and socially situated framework to aid researchers, practitioners and policy-makers to better understand how evidence-informed policy and practice can be successfully conceived and enacted. In Evidence-Informed Policy and Practice in Education, Brown journeys through his past empirical work while also employing the ideas of a number of key social theorists and philosophers, including Baudrillard, Eco, Flybjerg, Kant and Aristotle, in order to give 'research on evidence use' a more rigorous conceptual underpinning. 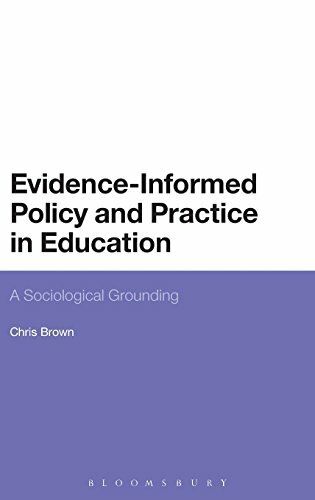 Examining and critiquing evidence use both by schools and government and critically engaging with topics as wide ranging as consumption and rationality, Brown concludes by setting out an overarching model of evidence-informed policy and practice. In doing so, he also provides a compelling vision for the future role of researchers both within this model and for the promotion of evidence generally.